See-Dub: Brett's eulogy for his dad. I'm still struggling to find my words, so here are Brett's. He, Ryan and the other family members who spoke at the service did a wonderful job describing their dad and papa. When I was a kid, Dad rarely told us what he was thinking. He just wasn’t that expressive with his words. He joked with us and told stories about his childhood, but he wasn’t one to wear his emotions on his sleeve. His actions, however, spoke louder than any words ever could. Dad’s work ethic is legendary, but he always had time for his family. Dad loved watching sports on TV, but he enjoyed playing them even more. The storage room in our garage was filled with bats, balls, gloves, and other sports equipment, all of which got used on a regular basis. I remember neighborhood baseball games in the field behind our house, football in the front yard, and basketball in the driveway. When my friends or Scott’s friends would come over to play basketball, Dad would always fill in if there were an odd number of people, and he could definitely hold his own—he was big and strong and a good athlete. Every evening after dinner, Scott, Dad, and I would kick the football up and down our long driveway, kicking it as high and as far as possible. We would also throw the Frisbee and play HORSE. 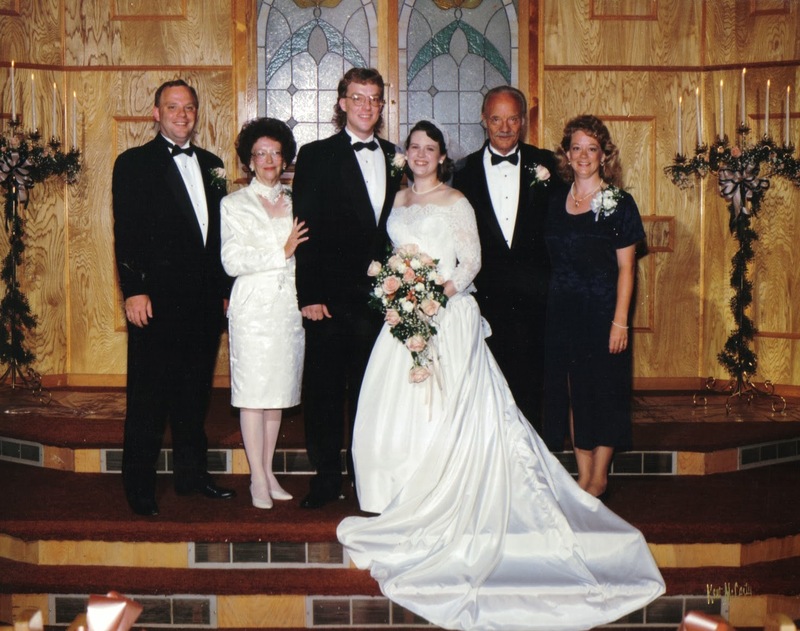 Throughout the years, Dad was a solid, steady, constant presence in our lives. He was always there, whether it was mealtime, TV time, or whatever. He rarely did the outwardly spectacular—there were no ocean cruises, no trips to Disney World, no European vacations—but every year he would take the family on one of our infamous vacations, whether it was to go look at the Grand Canyon for a few minutes or drive through the Rocky Mountains in Colorado. Dad also grilled hamburgers for our birthdays, took us out to eat every Friday night, took us to countless Rangers games, rode bikes with us, and drove us to Harrington’s on Saturdays to buy candy with our allowance. He gave us allowance each week, but not a penny more. If I saw a car model at K-Mart that I wanted, I couldn’t get it if I hadn’t saved up enough money. In short, he taught us hard work and to appreciate the value of a dollar. It was obvious Dad loved us, but since he was so quiet and undemonstrative, I often wondered exactly what was going on inside his head. Was he happy to be a husband to my mom? Did he enjoy being a father to us kids? He always had a calm, cool exterior and an unflappable disposition, but did he ever fantasize about having a more glamorous, more exciting life? 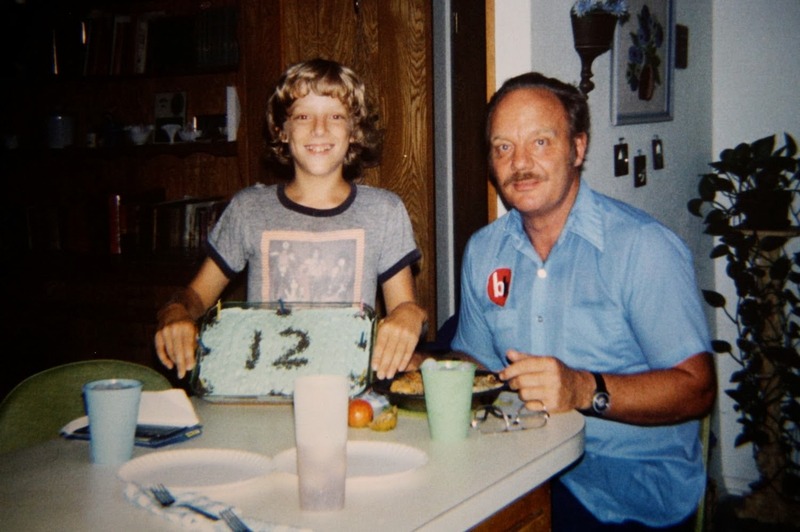 When we were younger, Scott and I used to joke about Dad—What was he? He wasn’t a hunter or a fisherman or a cowboy. He had a garden, but he wasn’t a farmer. He worked on cars and seemed to like them, but he wasn’t into hot rods or racing. He liked sports, but he didn’t have season tickets or wear the colors. He was a company man, but he had no interest in climbing the corporate ladder. He was a churchgoer, but didn’t seem especially religious. What was my dad? Although it should have been patently obvious from the beginning, I didn’t get to the core of what Dad was all about until I was in my late 20s. During the third year of our marriage, Charis and I were having marital difficulties, and Mom and Dad came to our house to talk things over and find out what they could do to help. It hit me at that moment like an anvil to the head who Dad truly was: a Family Man with a capital F. Through love, hard work, sensible living, and steadfast dedication, Dad had kept his family together, and he expected no less of me. Every day I’m thankful I followed his advice and his example. If Dad were an overly talkative man, the phrase “keep your family together” would have been a quickly forgotten cliché amidst all the drama. However, coming from Dad, the importance of those words wrapped themselves around my cerebral cortex like a python and have echoed through my thoughts ever since. My dad did lead a quiet life, but it wasn’t one of desperation or regret, and the song is not still with him. The song lives on in all the loved ones he left behind. The song lives on in everyone here today. Indeed you have been truly blessed with an honest man who lived an honest life. Thoughts to you in your grief. Departing Earth And Turning Homeward, God's speed, RIP.